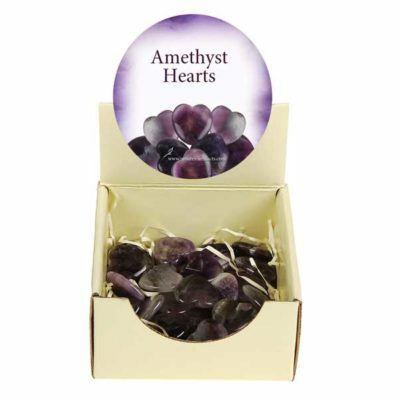 An assortment with 40 pieces of Amethyst hearts in a ready to retail. 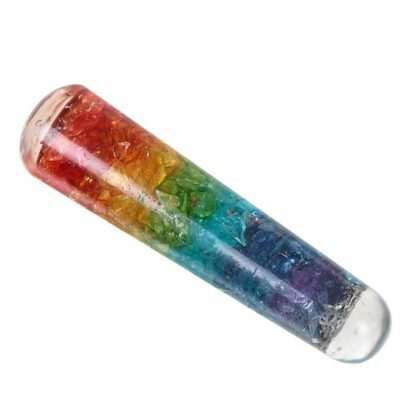 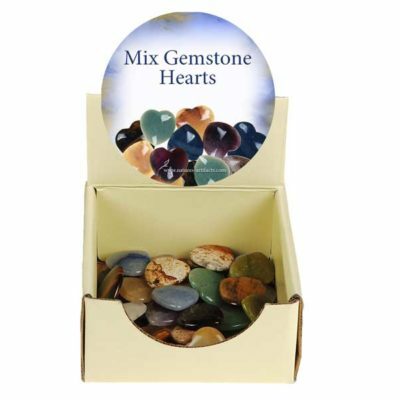 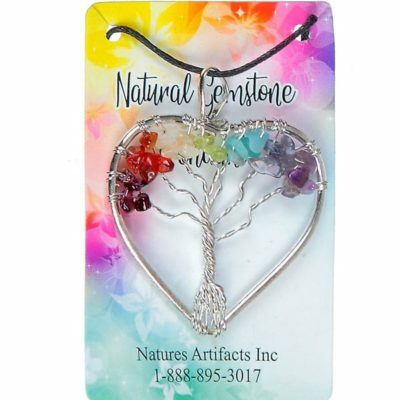 The ready to retail display contains 40 pieces of lovely assorted gemstones. 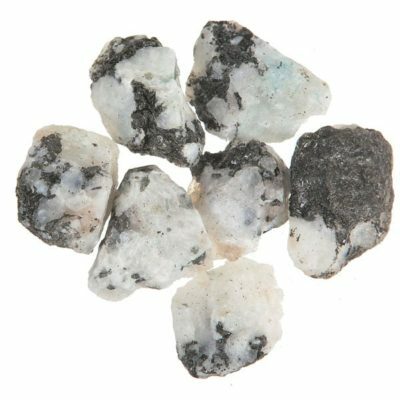 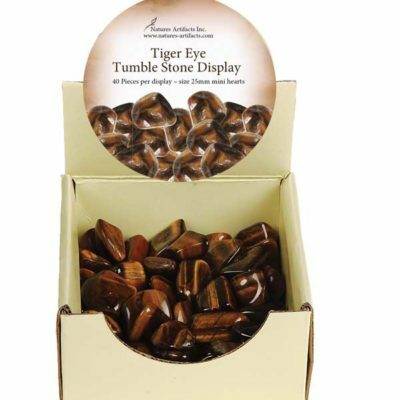 2 lbs of tumbled stoned in a ready to retail display. 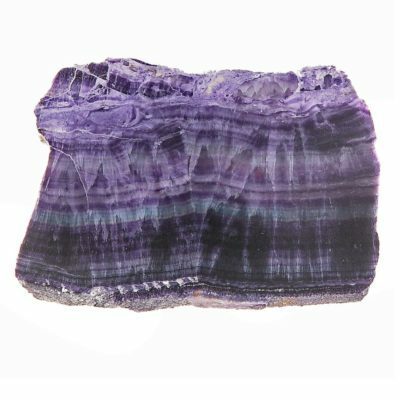 2 lbs. 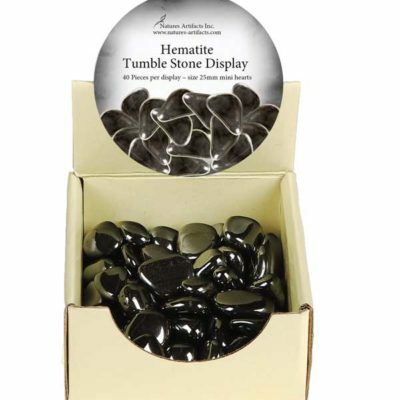 of hematite tumble stones in a ready to retail box.